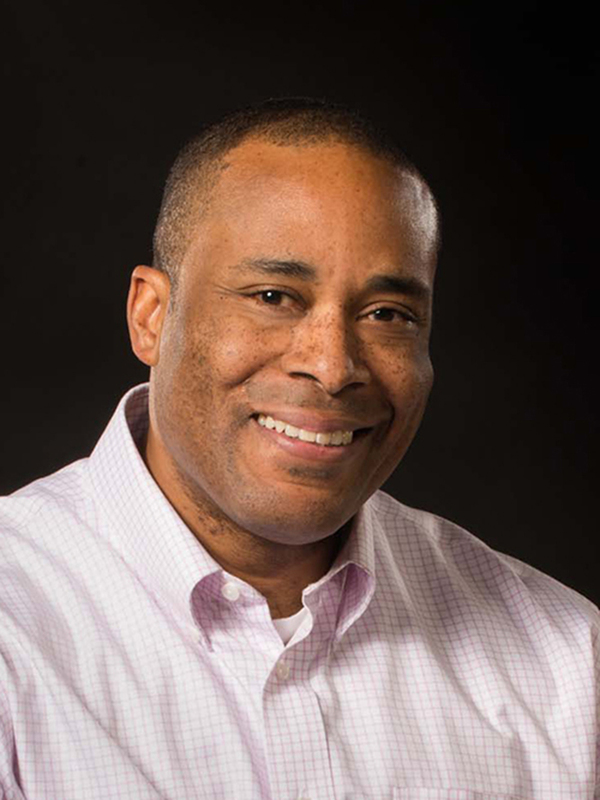 Dr. Darryl White is associate professor of trumpet at the Glenn Korff School of Music. White's performance experiences include a wide range of idioms. He has appeared as guest soloist with the Omaha Symphony, Lincoln Symphony Orchestra, Mesa Chamber Orchestra, Grand Junction Symphony, Lake Forest Chamber Orchestra, Roaring Fork Jazz Festival, University of Nebraska Faculty Brass Quintet, the University Faculty Jazz Quartet and many other solo appearances and guest clinicians with college jazz bands and orchestras across the country. A native of Warren, Ohio, White has been playing trumpet since the age of 9. Before his current position at the University of Nebraska, White's first college teaching experience was at Mesa State College in Grand Junction, Colo., in 1993 where he taught for two years. White holds a Bachelor of Music degree from Youngstown State University, a Master of Music degree from Northwestern University and a Doctor of Musical Arts from the University of Colorado. While in Denver, he was a member of the Aries Brass Quintet-in residence at University of Denver-Lamont School of Music and the Denver Brass. At Lamont he was Instructor of Trumpet and also participated with the Faculty Jazz Quintet. Dr. White has served with numerous high profile organizations including serving as an IAJE Resource Member, IAJE Regional Coordinator, a panelist judge for the National Foundation for Advancement in the Arts (NFAA), Nebraska Arts Council Member, and Director of the internationally known Stan Getz/Clifford Brown Jazz Quintet. White can be heard on several recordings including performances with the Denver Brass, "Rhapsody in Red, White &Blue" on Centaur Records, 1997; and "America, The Golden Dream" on Delos International, 1996. He can also be heard on the Capri Record Label with tenor saxophonist Keith Oxman. White can be heard on the 1999 release, "Hard Times", featuring jazz great Joe Bonner and a 1997 release entitled "Out on Whim". White currently has three solo recordings released. The first is a 1999 release entitled, "Ancient Memories." The second is a 2002 release entitled "In the Fullness of Time" which features former ECM recording artist/pianist, Art Lande. This release features several original compositions including "Lil I" featured on the PBS special "New Beginnings." The third is a 2007 release entitled, "Resonance." "Resonance" features original classical compositions of composers Art Lande and Bruce Williamson.